Philippa carries a small number of Original works for sale. 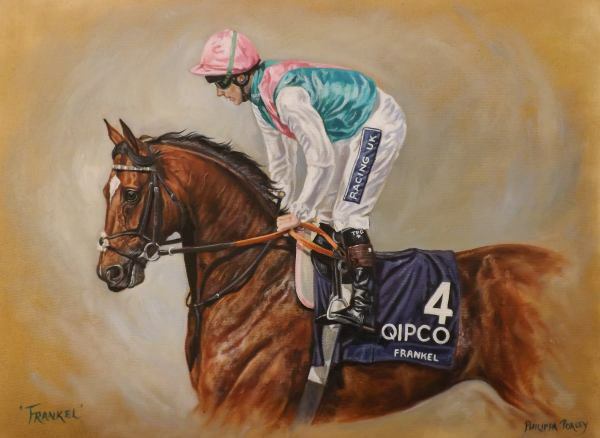 The latest is of the Outstanding Racehorse ‘Frankel’ Oil on canvas 12 x 16 inches. £1200. Framed in 5 inch antique gold making an overall wall hanging size of 22 x 26. 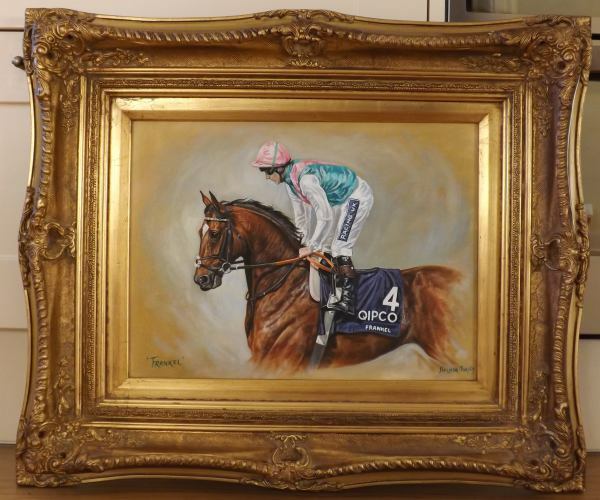 Original 'Frankel' and Tom Queally for sale.